Welcome to the LGBT Health Resource Center of Chase Brexton Health Care! Support our work - Give Today! We R The Letters - Send a letter of support to the LGBTQ community. Follow the LGBT Health Resource Center on Facebook. Our goal is to provide LGBTQ individuals and their families with welcoming access to expert health information and resources that will enhance wellness and quality of life. The health care system has been slow to offer comfortable and affirming health services to LGBT communities - in fact, Chase Brexton was founded for this reason. And, through the years, we’ve grown – but we never let go of our heart and our history: equal, expert, and affirming health care for our LGBT communities. 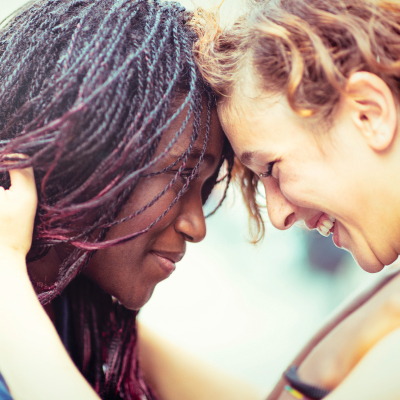 Whether you are questioning, bisexual, queer, transgender, gay, lesbian, or unsure where you fit, the LGBT Health Resource Center is here for you. Our amazing team is ready to work with you and do all we can to help you live your healthiest possible life! Note: Walk-in hours are subject to change dependent on staff availability and holiday closures.